I have to say it has been hard to focus on stamping this past week with all of the horrible and devastating effects that Hurricane Harvey has had on our state. While we have not had a drop of rain where I live in the DFW area so I have not been personally affected, I have found myself glued to the news stations and Facebook to check on friends who live in South Texas and my heart breaks for them. I grew up in a small town in South Texas, not far from Rockport, where the hurricane landed. We spent many days at the beach in Port Aransas. It’s unbelievable to see what has happened to this area. And then the incredible flooding in Houston has been so terrible for other friends. I have friends who have lost homes, but I am so thankful that they are safe. Wow! What an unbelievable week! If you have been affected, I am so sorry and I pray that you will find relief quickly. Some of my fellow teammates have been showing beautiful Christmas cards all Summer, and I haven’t made a single one. So I finally decided that I needed to get started and at least make one to get the ball rolling. I don’t have any of the new sets yet, so I pulled out one that carried over to the annual catalog, Christmas Pines. I tried to use the greenery as the star elements in the sketch and the pine cone as the triangle element. Hmmm….I may have taken some creative liberties with this sketch. I used a piece of the Wood Textures dsp stack and trimmed it with a bit of Cherry Cobbler card stock cut with the Decorative Ribbon Border Punch. We hope you’ll join us and create you own card using the sketch! We love to see what you create as we browse the gallery each week. Meanwhile, be sure to drop by the Freshly Made Sketches site to see what the design team has created for your inspiration. 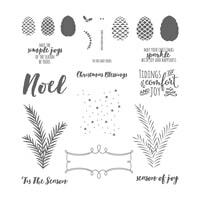 This entry was posted in Christmas, Christmas Pines, Freshly Made Sketches Challenge. Bookmark the permalink. Your card is GORGEOUS Amy, and to be cased! I absolutely love it, thanks so much for sharing! I am so sorry for the devastation in Texas also; I’ve actually been wondering about you! I’m so happy your family is unaffected and well. I am so sorry for all the others who aren’t! All are in my prayers! 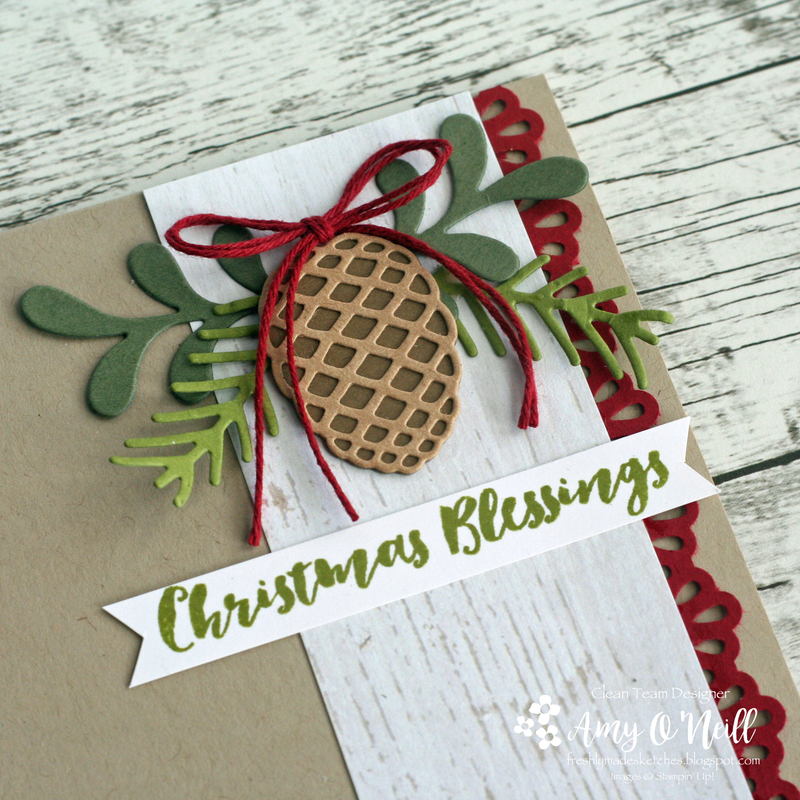 This is a beautiful Christmas card using one of my favorite Christmas color combos! I love that bit of weathered wood DSP – it really makes this have a wonderful, homespun, rustic feel. Your card is gorgeous, Amy, and I can totally see the sketch! 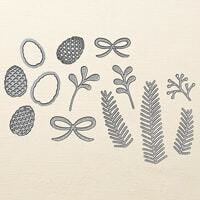 The pine cone and greenery are so beautiful. So sorry to read about all your friends affected by this horrible event. This is lovely, Amy! 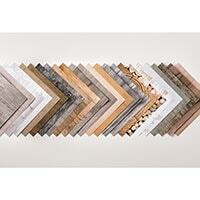 I love how you used that wood grain paper with these pretty elements.